The success of the scrappage scheme across Europe has led Renault to increase production of its Clio Campus budget supermini. The Clio Campus is made at its Flins factory near Paris and production has now been extended to December 2009, a move which will result in an extra 4,000 cars being built. Renault had originally planned to shift Campus production to its Novo Mesto factory in Slovenia but demand for the facelifted second generation Clio has remained strong. Renault was quick to state the move has been motivated by market conditions and not political motives, despite receiving a €3bn (£2.5billion) state loan in exchange for commitments to maintain manufacturing and employment in France. 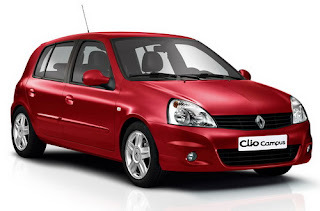 Renault sold 4,429 Clio Campuses in May and it has sold 29,350 units in the first 5 months on 2009.